Hi Good Folks, Chris Potter’s “Traveling Mercies” is filling up the air waves (great CD by the way), the sun refuses to shine and in fact it’s sort of rainy outside. What’s this? Actually it’s perfect having funky weather right now. I’ve needed to be holed up in the studio putting in long hours refining my new string composition and it’s nice not having the lure of sunny days yanking around my concentration. I’m getting near the end of the piece and I’m loving the journey. It’s like reading a spy novel and every moment you’re wondering where it’s leading. Who leaked the top-secret details mixed in with what harmony should the strings follow here? An absolute page-turner! I’ve got a lot going on this week so I’ll jump right in. Tonight I’m playing a free solo concert at North University Community Branch Library in the UTC area. This is part of a whole series of shows and I’m leading it off. Can’t wait to share the airspace over Miramar! That's a lot of guitar real estate there! Tomorrow night I’ll join vocalist Denise Donatelli and pianist Geoffrey Keezer for a night of music at the Birch North Park Theatre. We just completed Denise’s 2nd album of which we recorded it here at SpragueLand. It sounds amazing and once again Denise sings beautifully and underlying it all are Keezer’s inventive arrangements and piano playing. Also in the mix will be Bob Sheppard on sax, Hamilton Price on bass and Duncan Moore. Sure looking forward to a great night of music! Thursday night I’m not playing my regular Roxy gig but instead I’m heading off to hear pianist Billy Childs playing a duet concert with saxophonist Steve Wilson at the Athenaeum in La Jolla. These guys rip it up and it’ll great hearing them together. 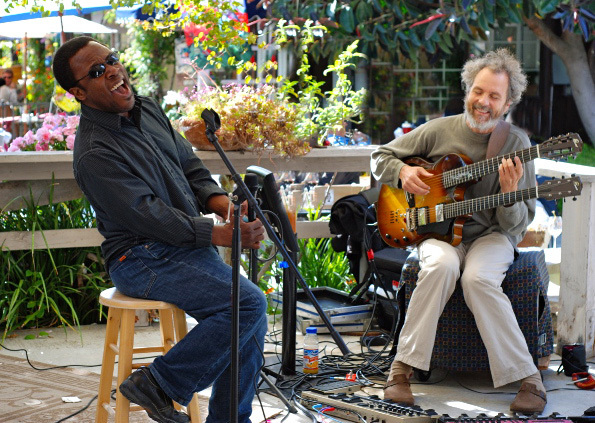 Consider checking out their world-class music in the heart of beautiful La Jolla. For Saturday evening we’re playing a show at the Pacific Beach Surf Shop. You might think this is a weird venue but we’ve played there once before and it’s really set up great for live music. They have a stage and they move everything to the side and there’s nothing like playing a Brazilian groove with a classic Skip Frye surfboard hanging overhead! Joining me will be two of my favorite vocalists  Kevyn Lettau and Leonard Patton, along with Gunnar Biggs holding down the low end. I hope you can make it out for a great night of music in PB. Last up for the week is a duo house concert with Leonard and I taking place in Bonsall, near Fallbrook. It’ll be on Sunday late in the afternoon and you’re all welcome to join in. Look below for the details on how to get tickets. Stoke! 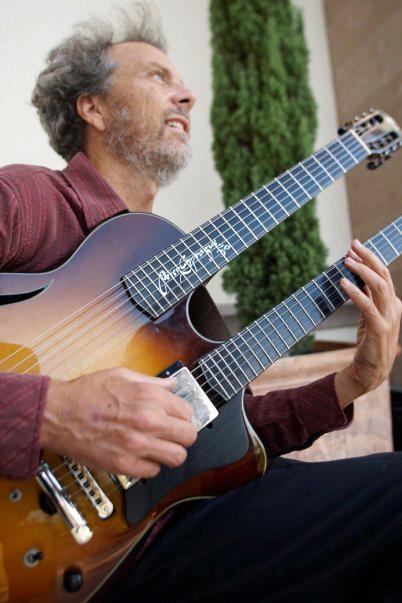 Looking a little further down the line, on July 18 my group The Peter Sprague String Consort is playing a special house concert in a private home garden in Encinitas. This event will feature an amazing food moment flowing into a concert with our group. This will be the first time to perform my as of yet, still uncompleted and untitled composition. Hope it sounds like I think it'll sound. If you’d like to come, look below for details on how to get there and how to buy tickets. 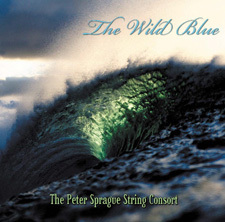 We just had a great CD review of our Wild Blue release published in AllAboutJazz.com.. I think it’s one of our best and the author really highlights the things I like about the band and the recording. Click here to check it out. 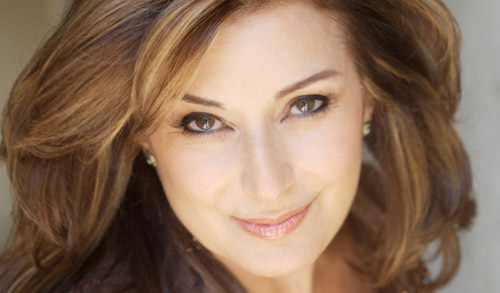 Bob Sheppard  sax and flute 7 PM Denise sings up a storm and we've got a stellar band to play the music from her new CD. Gunnar Biggs  bass 8 PM Bringing the circus to PB! This spot is actually a great hang for a concert. They have a stage and it's really setup to have a cool music experience. Hope you can make it! 4 PM House concerts may be the wave of the future. Super fun, little food treats and a great space for live music. Hope to see you there! 6 PM Australian singer Kate Fuller is super special and things are going her way. She's now living in L.A. studying at the Los Angeles Music Academy. She just came in 2nd place at the Del Mar Fairs singing competition. We're playing this fancy gig in L.A. and hope you can make it out. She sounds great!